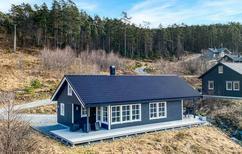 A holiday house in Hordaland costs on average USD 520 in the cheap travel period and USD 1,028 in the peak season per week. These details are of course in relation to the house and not per person as well as includes the obligatory additional charges. The mountains and coastal fjords that make up Hordaland in West Norway are often considered some of its most beautiful, and are placed conveniently close to the large cities of Bergen and Oslo. 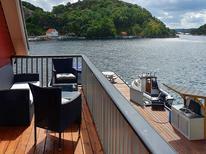 To enjoy some of the most charming locations in Scandinavia, book holiday rentals or private holiday apartments in Bergen or one of the charming traditional villages that dot the spectacular natural scenery. 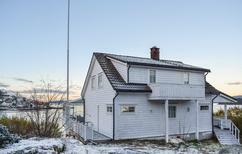 Arriving at holiday homes in Hordaland is easy, with the local Bergen International Airport being one of Norway's largest and its many highways leading to the metropolis of Oslo. 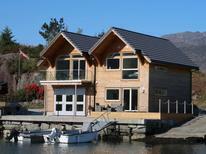 Nearly any road in Hordaland will provide impressive views that are a tourist attraction in and of themselves. The dramatic North Sea coast that covers much of Hordaland provides a wealth of holiday houses and holiday apartments for those seeking outdoor recreation such as hiking, camping, mountain biking or world-class fishing opportunities. 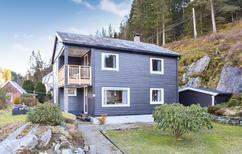 The abundance of tourist destinations available on a vacation in a holiday home in Hordaland make it a great region to visit. 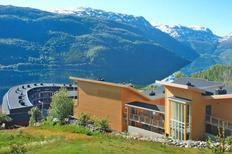 During the winter, the town of Voss provides some of the country's best ski experiences and during the summer is known as the center for fjord and national park excursions. 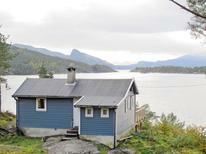 Within short distances of Voss holiday rentals, visitors can rent a wide variety of recreational equipment to camp, canoe or raft through the nearby wilderness . Bergen, Norway's second largest city, contains a wealth of museums, theaters and other cultural landmarks nearby its holiday homes to get to tourist acquainted with the Scandinavian lifestyle and history. Bergen is also known for its exciting nightlife and accommodations, placed beautifully next to picturesque fjords, mountains and thick forests.